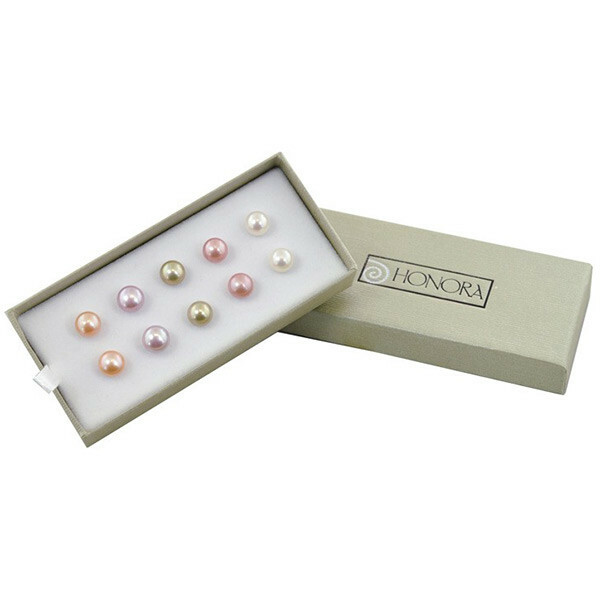 Honora features a set of five sterling silver 8-9mm watercolor freshwater cultured pearl stud earring box set. Be bold yet chic and spice up your wardrobe with the matching pearl studs to match every outfit. This gift box set makes it easy to find the perfect gift for someone or maybe just to treat yourself!